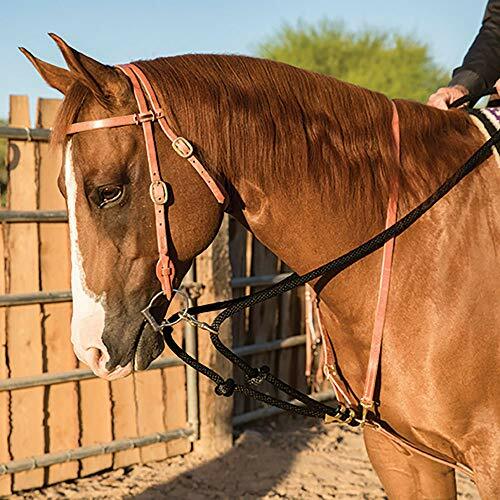 Your textbook standing martingale is this Plain Raised Standing Martingale with a simple design for a classy, traditional look. The Henri de Rivel line of English tack is known for European design and quality at prices that offer great value. With an American team of fellow horse riders and aficionados, the company has since grown from 1992 to become one of the world's largest manufacturer of equestrian English tack and is sold to riders in more than 55 countries around the world. Our Iconic Designs are a celebration of the horse riders who wear them & an embodiment of a rich legacy of our design tradition. Our reputation is built on innovation and quality. We work closely with our designers, our customers and vendors to develop products from the ground up. Each piece goes through the rigorous quality check with a high bar on the finish of the final product. We offer a great range of equestrian products ranging from horse tack to highly comfortable saddles. Great Quality at Low Prices - What's the Secret? We offer you great quality because we make all our saddles in our own factories where we can control every detail. We always offers you great value for your saddle investment because we care as much as you do. 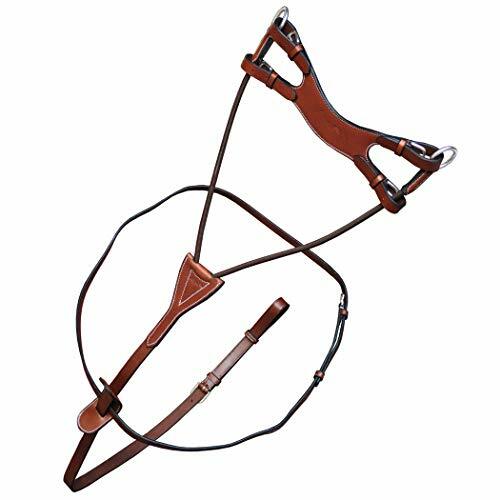 Above displayed handicraft specimen, is termed as Training aid Standing Martingale, which is distinctly crafted for the safety of the animal as well as the rider. It prevents the animal from putting its head up too high. Number of holes on the chest strap provides optimum adjustment to the rider. This durable Martingale is fine square raised with delicately Fancy art stitching on it worthy for schooling purposes and elegant enough for shows. 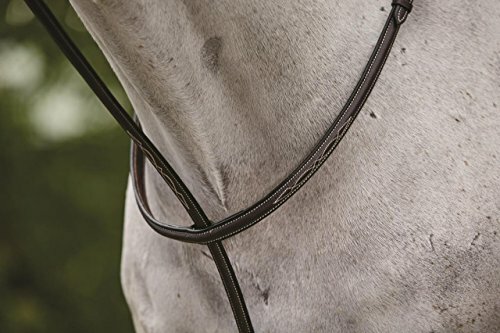 Our Henri de Rivel running martingales will fit well on your horse with their flat exterior and will be perfect for easy attachments due to its simple, yet functional style. The Henri de Rivel Advantage Flat Running Martingales are high quality and easy to use running martingales. Crafted in a couple of color choices, they are designed with stainless steel hardware.The Henri de Rivel Advantage Flat Running Martingales are part of the Henri de Rivel line of English saddles and bridles. The Henri de Rivel line of English tack is known for European design and quality at prices that offer great value. The Silver Fox Standing Breastplate Martingale will quickly become a favorite of both you and your horse. 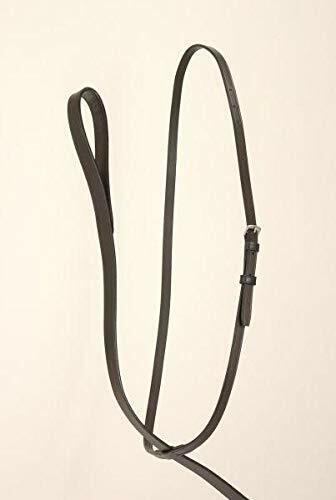 Made of high-quality leather, this lightweight and durable martingale is a simple yet effective training aid both you and your horse will love. Available in a variety of colors so you get the look you want. About JT International For over 35 years, JT International has been providing riders with quality equestrian equipment designed to maximize the riding experience. With over 1,100 different types of products available, they offer new and time-honored favorites to riders all over the world. From tack to training supplies, JT International has each rider and their mount covered. Made of high-quality leather in brown. Simple yet effective training aid. Available in a variety of colors. 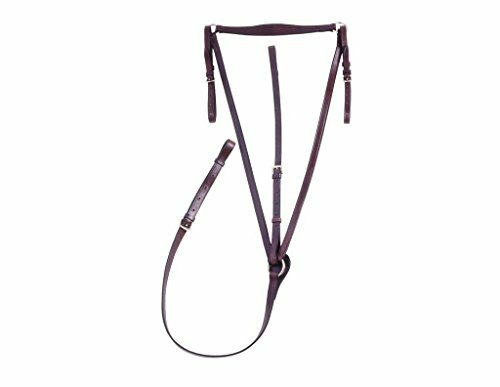 A great training tool, this martingale is constructed from durable, weather resistant russet harness leather. Features a 1/4 inch nylon rope that runs through the bit rings (bit not included) and snaps onto the variable positioning Dees on the reins. The design helps teach correct head position and promote flexion at the poll. Split reins feature water loops with tie laces. Brand: Collegiate | Manufacturer: Weatherbeeta USA Inc. Brand: Kincade | Manufacturer: Weatherbeeta USA Inc. 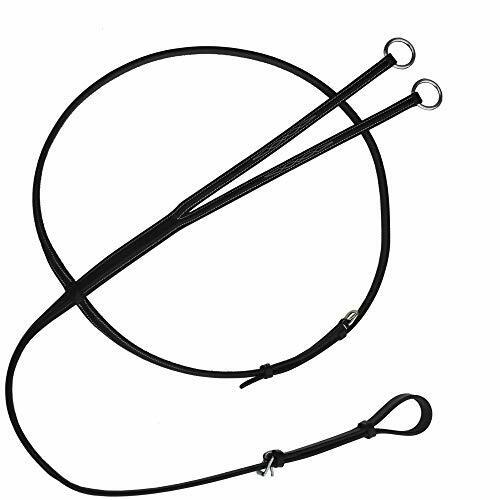 This durable Martingale is worthy for schooling purposes and elegant enough for shows. Crafted with fine Vegetable tanned Drum Dyed Leather which is the ultimate and foremost quality of leather used in Asian continent with highest degree workmanship. Premium quality leather mingled with high standards of workmanship enabled us to comply all the extreme specifications. 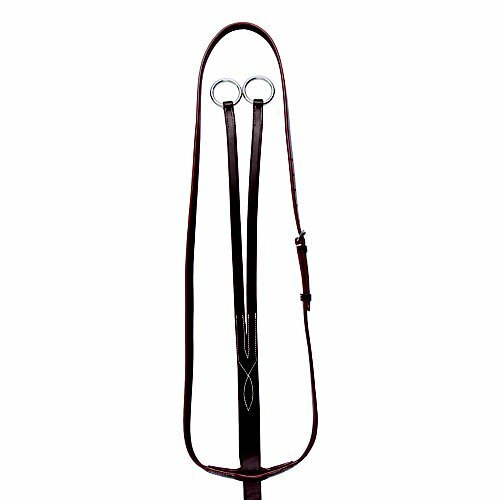 Above displayed handicraft specimen, is termed as Training aid Standing Martingale, which is distinctly crafted for the safety of the animal as well as the rider. 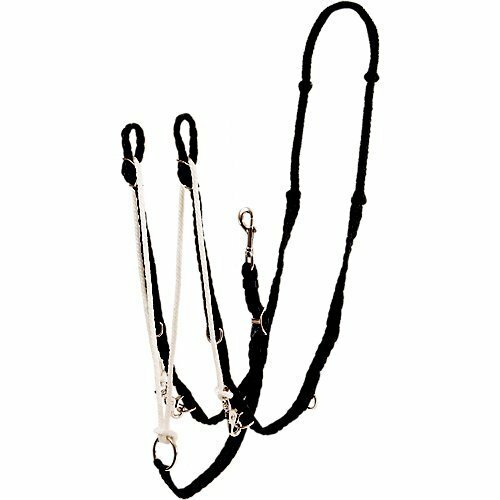 This durable Martingale is worthy for schooling purposes and elegant enough for shows. Crafted with fine Vegetable tanned Drum Dyed Leather which is the ultimate and foremost quality of leather used in Asian continent with highest degree workmanship. It prevents the animal from putting its head up too high. Number of holes on the chest strap provides optimum adjustment to the rider. Premium quality leather mingled with high standards of workmanship enabled us to comply all the extreme specifications. Smoothly finished and curved with special polish & lacquered on premium quality of Brass buckles for long lasting results. 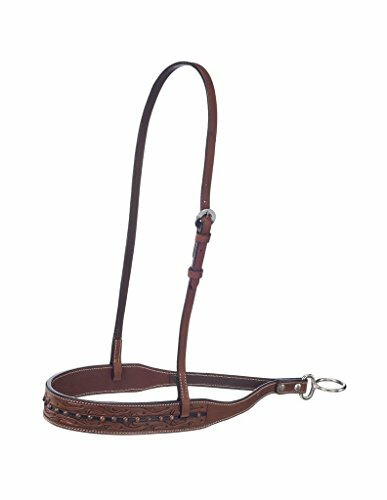 Havana brown leather running martingale. Ideal for the show horse in training. Adjustable to allow the perfect setting of the horse's head. Long length to attach to the girth. 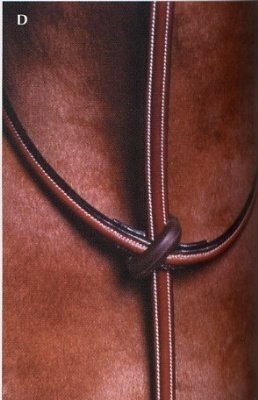 Quality, havana brown, leather martingale. 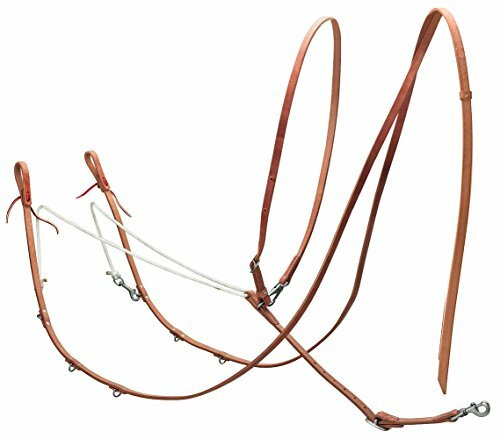 The easy design and quality construction are what set the Silver Fox Brown Full Raised Standing Martingale apart. 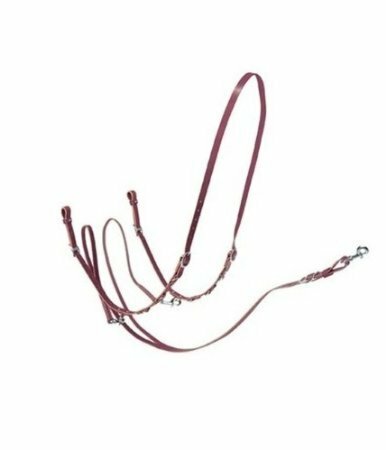 Made of high-quality leather, this lightweight and durable martingale is a simple yet effective training aid both you and your horse will love. It's sure to become an instant favorite. About JT International For over 35 years, JT International has been providing riders with quality equestrian equipment designed to maximize the riding experience. With over 1,100 different types of products available, they offer new and time-honored favorites to riders all over the world. From tack to training supplies, JT International has each rider and their mount covered. Made of high-quality leather. Lightweight and durable. Simple yet effective training aid. 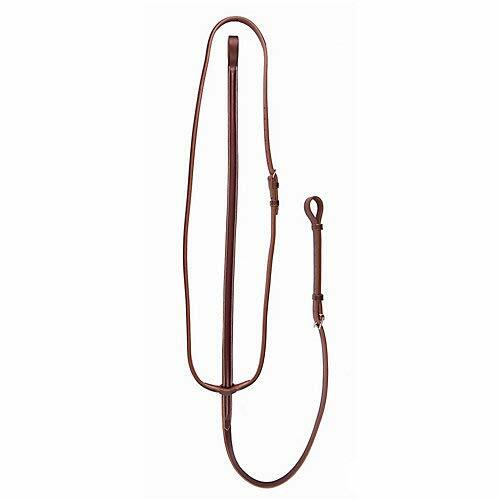 An Elastic running Martingale is so designed for the sensitive horses to help keep the horse's head carriage in the correct position when being ridden, preventing the horse from raising its head above a fixed point. The elasticity allows for a certain amount of limit to those horses having sensitive mouths and dispositions. Fabricated with Exion leather, this specimen provides some flexibility to the rider making the ride more comfortable. Number of holes on the chest strap makes this martingale better adjustable. 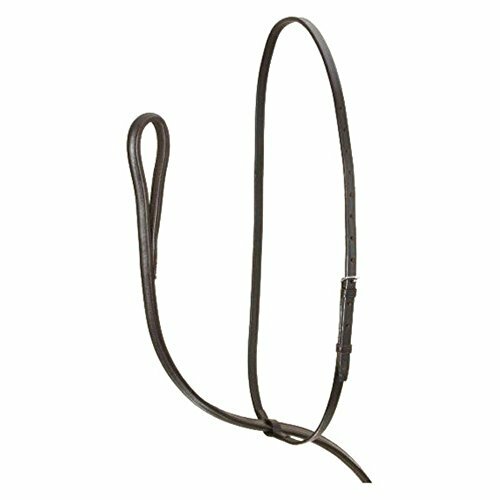 An Elastic running Martingale is so designed for the sensitive horses to help keep the horse's head carriage in the correct position when being ridden, preventing the horse from raising its head above a fixed point. The elasticity allows for a certain amount of limit to those horses having sensitive mouths and dispositions. Fabricated with Exion leather, this specimen provides some flexibility to the rider making the ride more comfortable. Number of holes on the chest strap makes this martingale better adjustable. A bib running martingale with the gap between the two upper straps filled in with a leather bib. 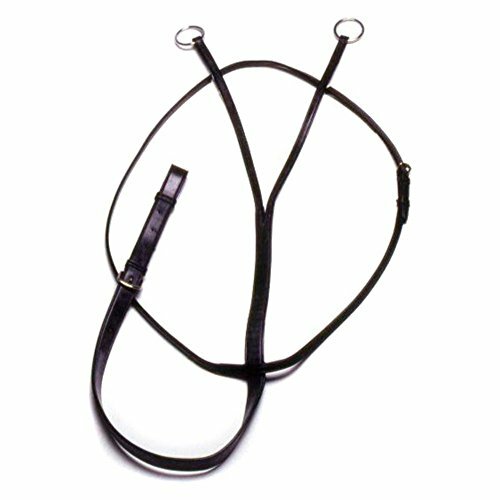 Bib martingales are most often used in racing and are designed to prevent the animal from catching the martingale straps in its mouth. The bib is less flexible than two straps on a running martingale and helps to keep the reins together. This running attachment has a Soft leather attachment that provides the horse a guideline to stay in and prevents the horse from putting its head up. 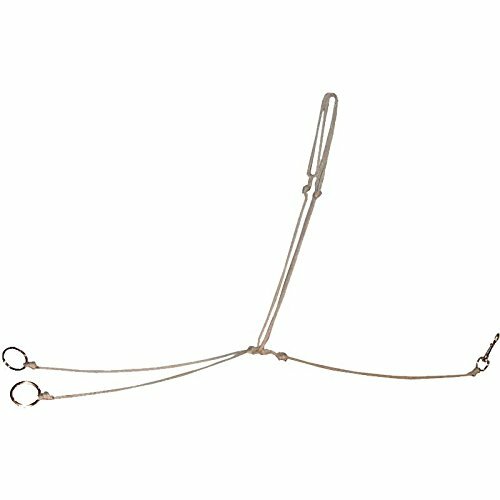 This martingale can be adjusted with a number of holes on the chest strap. A bib running martingale with the gap between the two upper straps filled in with a leather bib. 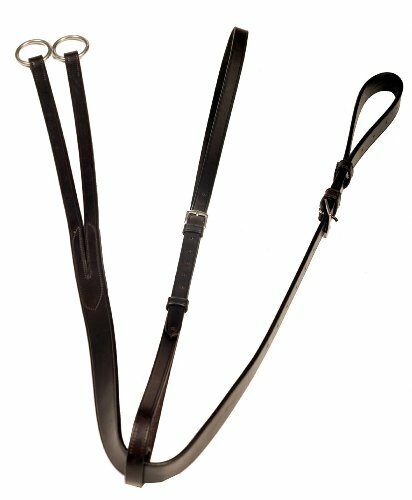 Bib martingales are most often used in racing and are designed to prevent the animal from catching the martingale straps in its mouth. 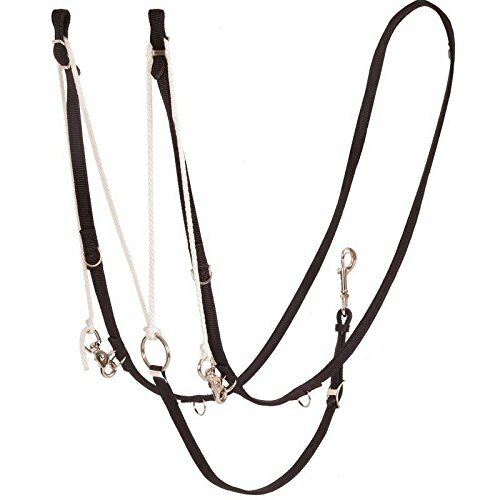 The bib is less flexible than two straps on a running martingale and helps to keep the reins together. Above displayed handicraft specimen, is termed as Training aid Running Martingale, which is distinctly crafted for the safety of the animal as well as the rider. It prevents the animal from putting its head up too high. Number of holes on the chest strap provides optimum adjustment to the rider. Above displayed handicraft specimen, is termed as Training aid Running Martingale, which is distinctly crafted for the safety of the animal as well as the rider. Fabulously crafted from supple, pre-conditioned leather. It is fully adjustable, has a standing attachment and has a nice smooth, flat leather. All hardware is made from stamped steel. Material: Soft cotton and Polyester High quality fabric feels very comfortable and will be wonderful for all season. Wash cotton lightweight,which is soft, breathable, comfort to wear in any activity. ELASTIC WAISTBAND: The elastic waistband ensures that your pants will remain securely, but comfortably on your hips without feeling tight or uncomfortable, and allowing you greater freedom of movement. Occasion: Perfect for school, work, fitness, running, date, casual,gym, exercising, workout and daily clothes etc.